Business a.m., a Nigerian print newspaper, quoted me today. 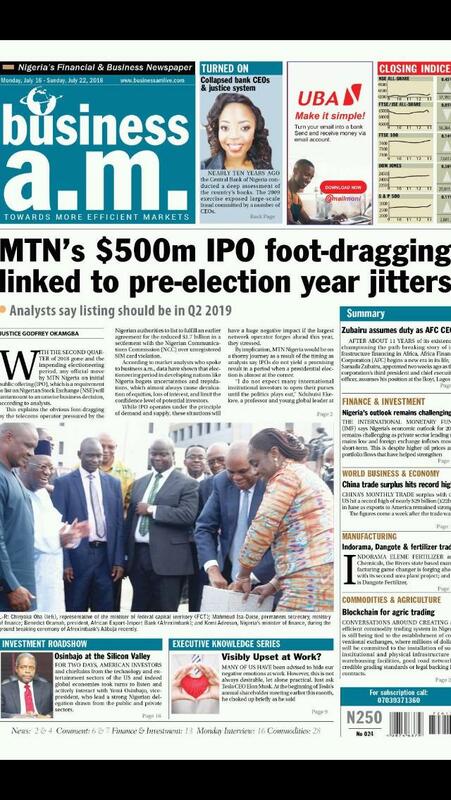 “So, for MTN Nigeria, I do think the strategists would move this IPO to Q2 2019 to happen after the election. If I am advising them, that would be the first point on slide. Going public in 2018 will cost you 15-20 percent because of the looming presidential election in Nigeria, which could depress international and Nigerian diaspora interests,” he concluded.